We have had an amazing time studying butterflies this last month. 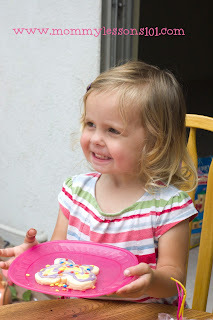 It has been a perfect at-home preschool unit for my children ages 2, 3, and 5. 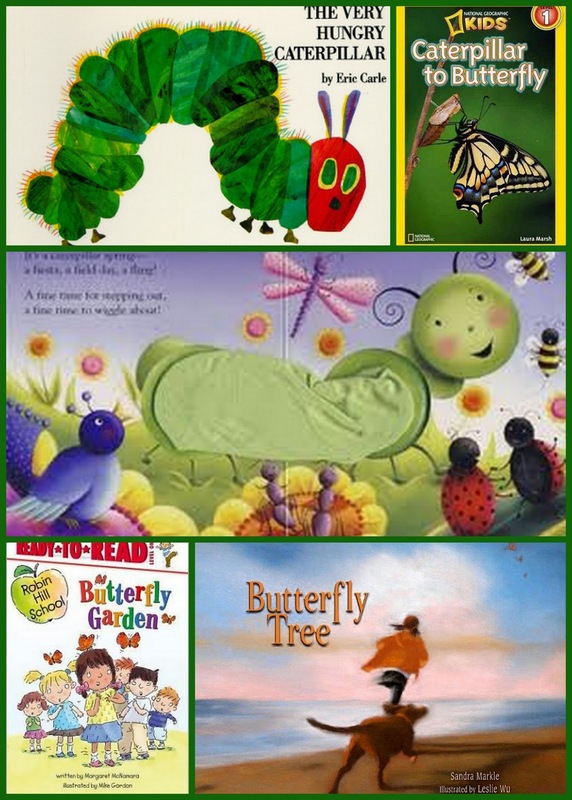 Below are a few books we read as we studied butterflies! This is a good non-fiction easy reader about butterflies. 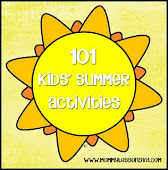 It is short enough for young kids to listen to or read on their own but still full of interesting facts. This fun pop-up book is great for the youngest kids. My two-year-old loved it, but even my five-year-old thought it was a fun book. This is a classic that my kids love. However, if you are being scientifically accurate, you should note that butterflies do not form cocoons--the correct term for a butterfly is a chyrsalis. 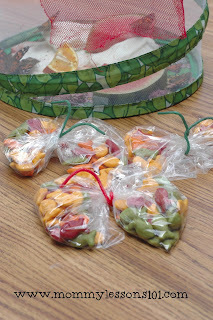 I had to make this correction with my kids but it led to a good discussion about the differences between cocoons and chyrsalises as well as the differences between butterflies and moths (which do form cocoons). This was an easy reader that my oldest son could read independently. 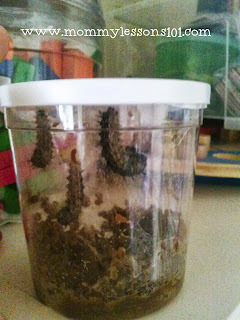 Yet it was also enjoyable for all of my children because it described a process of growing butterflies in a classroom, very similar to what we did in our own home. This showed the wonder of a little girl who saw a group of migrating Monarch butterflies. It was very poetic with beautiful illustrations. At the end, we had a party with friends to celebrate butterflies and release them. The butterflies were docile enough for my older kids to hold on their fingers. 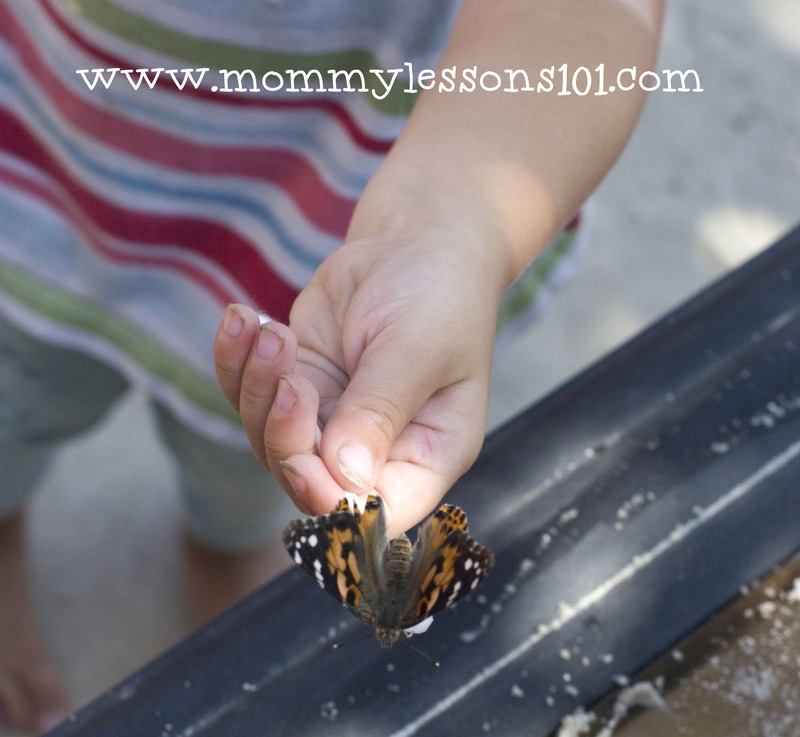 I used a q-tip dipped in sugar water to help my two-year-old pick up a butterfly before releasing it. 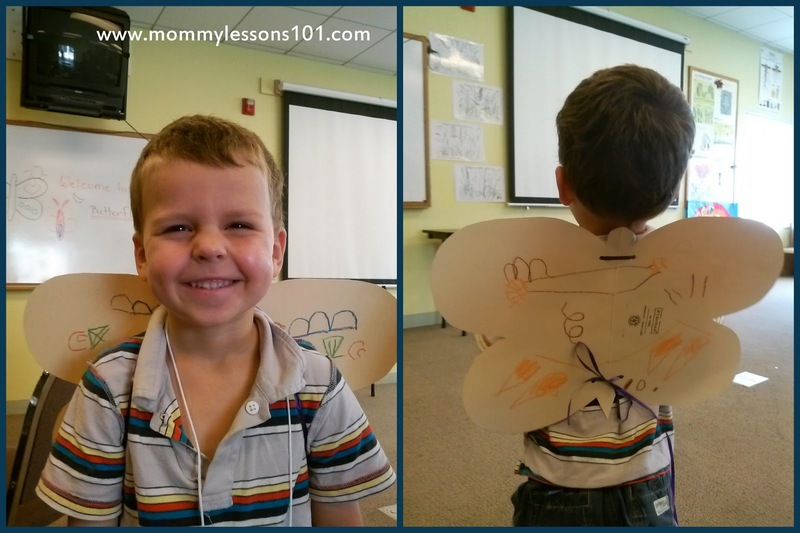 It is fun to act out the stages of a butterfly's life. Pretend to be a caterpillar and wiggle around on the floor. Curl up into a pretend chrysalis and then emerge as a butterfly and pretend to fly around. 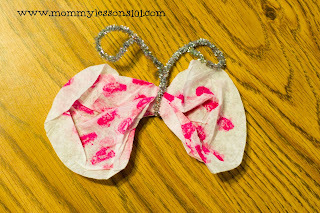 You can make your own butterfly wings if you want to add to the fun. You could even pretend to with your proboscis (a regular drinking straw would be a perfect proboscis), just as we did in our B is for Bee unit last year. 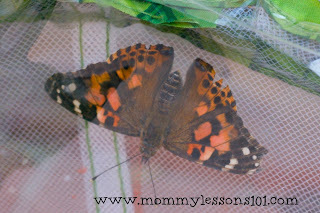 When our butterflies were ready to release, we invited a few friends over to help us release them. 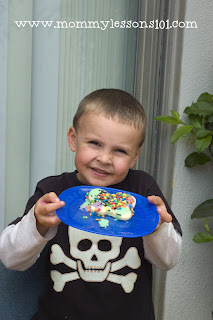 I made butterfly shaped sugar cookies (my favorite sugar cookie recipe is here), and the kids each decorated their own cookie. For a slightly healthier butterfly-themed snack, we also had colored goldfish in plastic baggies that were clipped together in the middle. 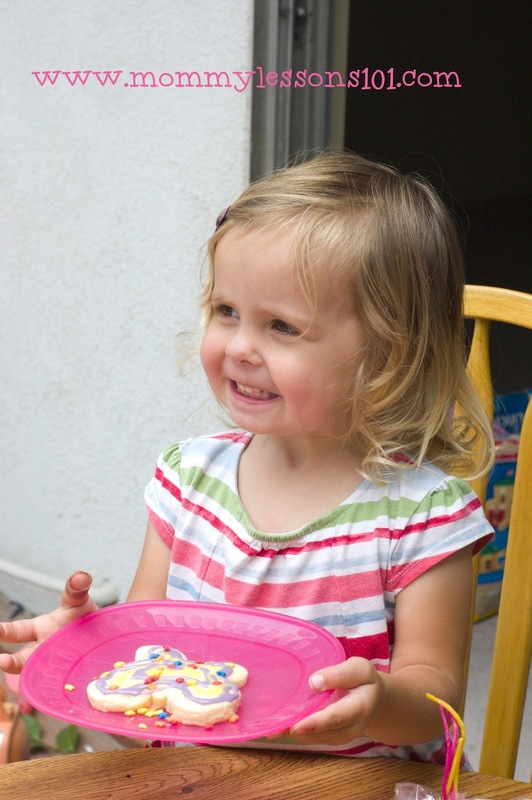 You could also do this with colored cereal or fruit. 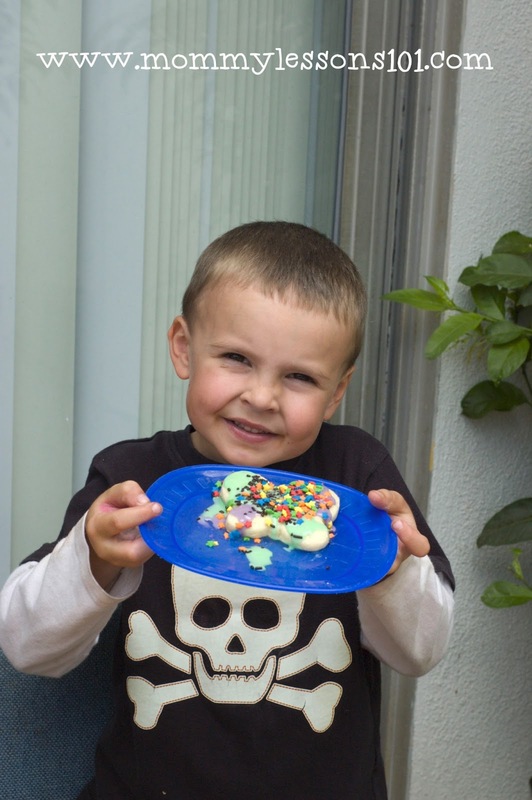 I also love this edible butterfly life cycle. 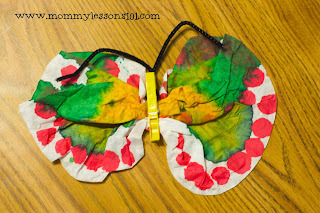 Probably the most common butterfly craft you might have seen is the tissue paper butterfly. We have done several variations of this butterfly craft. For a basic butterfly, use tissue paper as the wings, and then cinch up the center and create a butterfly body with a chenille stem. 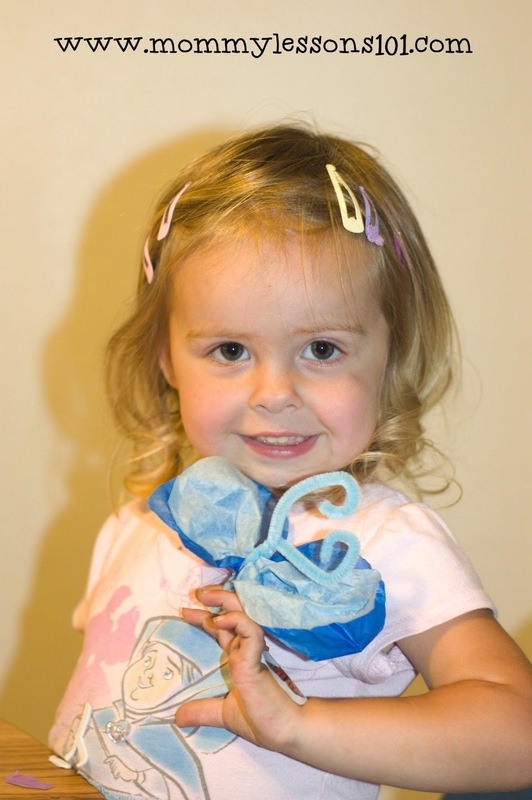 For my daughter's butterfly above, we left a small loop at the bottom of the butterfly's body so she could wear it like a ring. 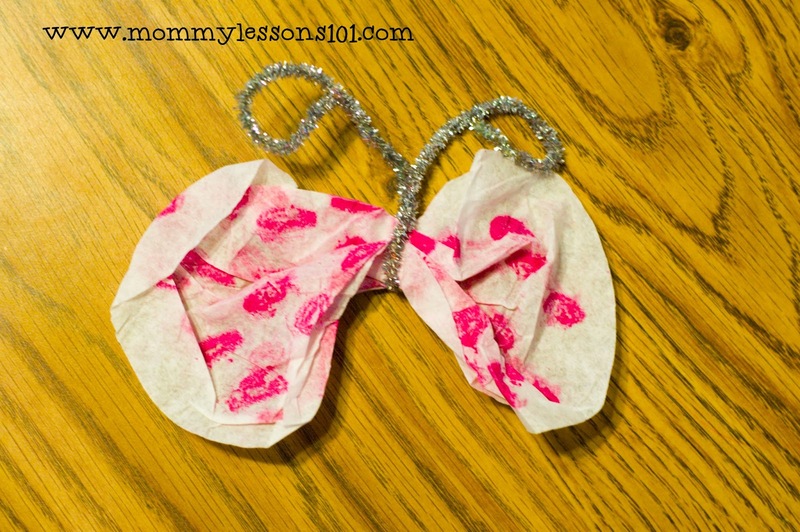 My sons decorated coffee filters instead of tissue paper and then cinched them up. You could also use a clothespin instead of a chenille steam to hold the butterfly's body together. 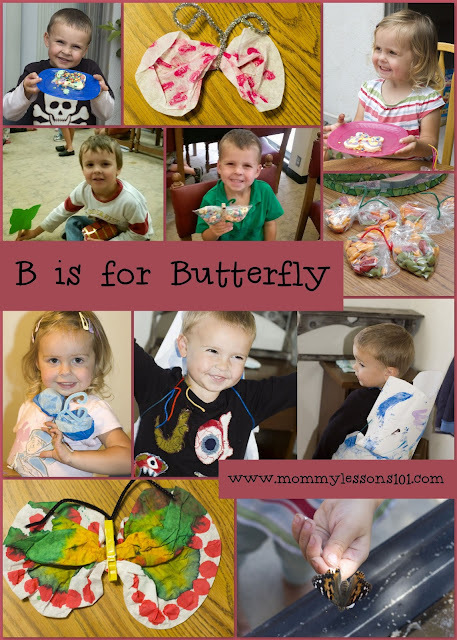 Another fun craft and pretend play prop is butterfly wings. You can use regular cardstock, butcher paper, or even old file folders. 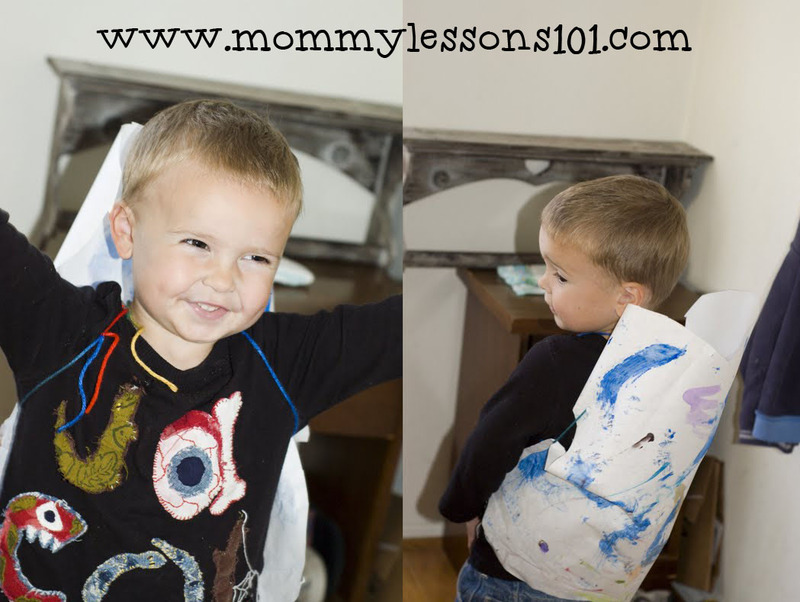 Above is my son with his butterfly wings made from an old file folder that he created at a class at our local nature center. As part of this craft, the teacher also talked about symmetry and encouraged all of the kids to make their designs symmetrical. My kids enjoyed dancing around to this song based on The Very Hungry Caterpillar by Eric Carle. Note that it does relate the incorrect term "cocoon" instead of "chrysalis" just as the book does, but it is still a lot of fun. 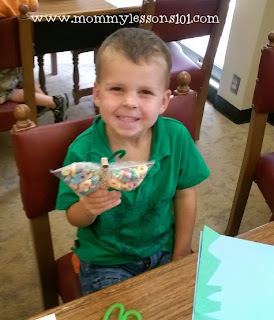 The kids sang to this song at our local library and the librarian prepared foam butterflies on sticks for each of the kids to wave around as they listened to the song. 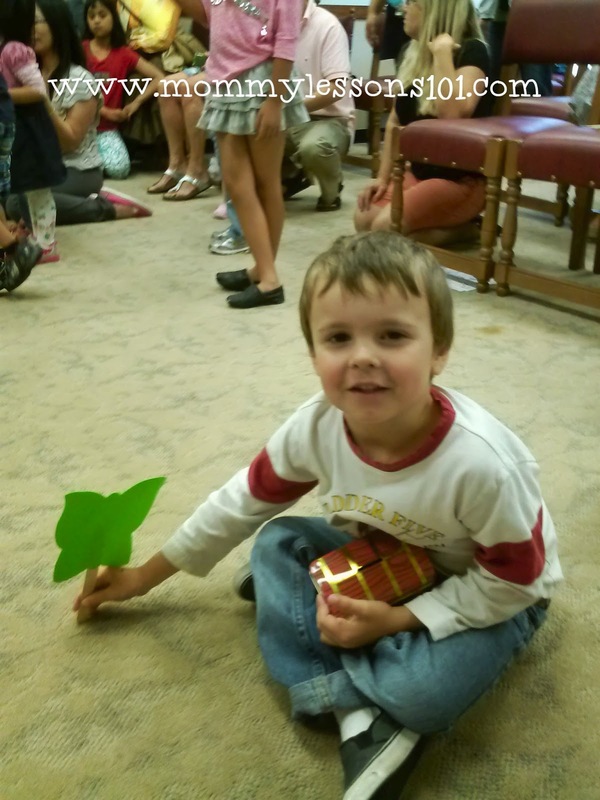 It just so happened that when we were studying butterflies, there were several free and fun community programs that went along with our theme. We went to a butterfly program at our local library and a class about butterflies at our local nature center. We also went to the Butterfly Pavilion at the Natural History Museum near us. 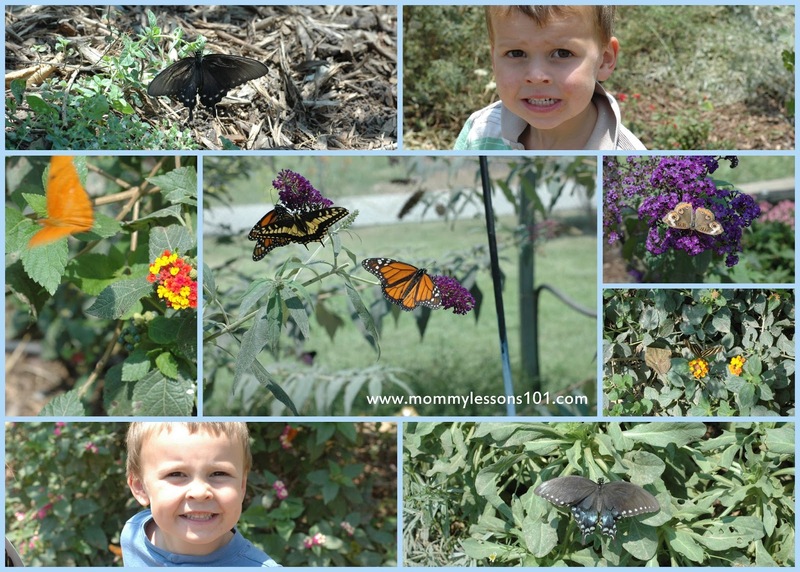 There were many amazingly beautiful butterflies to see up close! 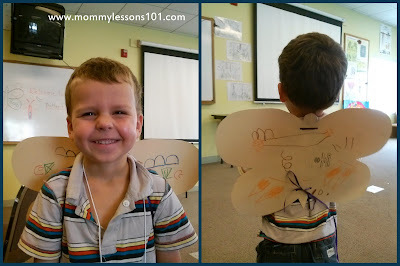 Our study of butterflies was definitely one of our favorite units we have done. 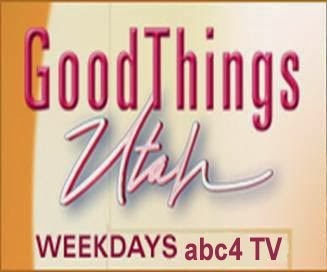 For more of our A to Z lesson plans, you can visit our Lesson Plans page here!